In times when people are constantly confronted by thousands of advertisements, brands need to do more than simply publish another banner or video campaign. If you want to turn users into customers, you need to offer something special before showing them your business. You have to offer value first. Then you can ask for business. With our interactive chat-stories and quizzes, we can help you to provide added value to users without destroying their attention span. As a result, users are happier and become much more open for business relevant actions like sign-ups, app installs, or purchases. Which means better results for your business! See how your business results increase by using our platform. The more often your audience interacts with content on your site, the stronger they engage with your brand. With our chat-stories format, we can increase the time users spend with your brand way longer than just a couple of minutes. Keep your audience engaged for days, weeks and even months! Quizzes are user magnets and a guarantee for high engagement on nearly any website. People who do quizzes stay longer, share more often, and are overall more strongly engaged with the site that the quiz is hosted on. Users who received value from your brand in advance, like with an entertaining chat-story or a self-confirming quiz, are much more open to giving their contact data and connecting with your business. Additionally, by using smart and balanced questions in a quiz, leads can be enriched with relevant data and follow-up marketing activities can be tailored based on user preferences. Learn what your users really care about. By evaluating the results of our content units, you can navigate your business in the right direction instead of using a trial and error approach. Did you used to believe that vanilla was your popular ice cream? After you started a "What's your favorite ice cream?" quiz, 76% of your customer said they love chocolate! If your audience like the results of your content units, they will start sharing them with their friends. This means new traffic for your website. 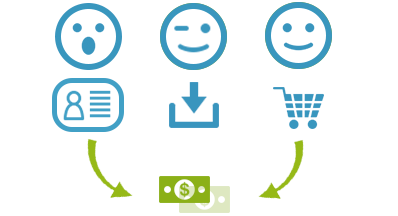 Leads, app installs, shop purchases - if your users are happy, the conversion rates rise, and the revenue of your business will increase. The most powerful interactive content types. Nothing engages people more than a good story. Give your users moments of delightful entertainment and skyrocket your engagement times into new horizons! 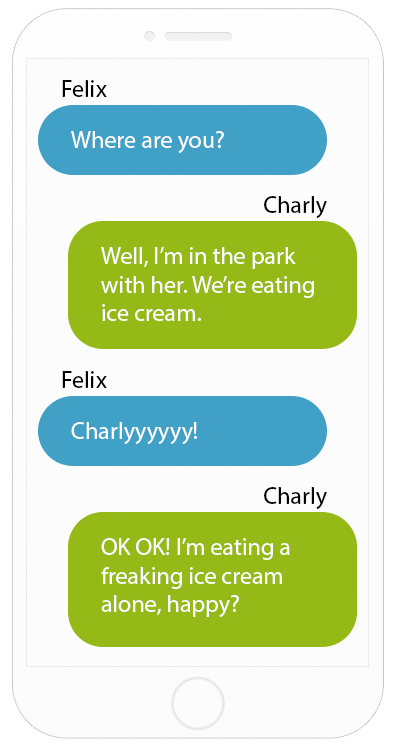 Qads Chat-Story enables you to serve stories in a format that looks like a messenger dialog. Using intuitive navigation to continue reading, your users will instantly engage with the story and give your content their full attention. With billions of messages sent worldwide, instant messaging has become a major part of our digital, everyday life. As a result of this, we automatically get trained in fast reading and processing short information. Things we don't instantly connect with get ignored or removed within seconds. Therefore, if you like to tell a story, you only have a few moments to convince a potential reader. This is where we our chat-story format steps in. Instead of providing stories in a long text, we serve specially prepared, optimized content for users that appeal to their short attention spans. Because users are familiar with this format, the entry level to start a story is very low and the adventure can begin. From soap operas, to love stories, to thrillers, fantasy, and sci-fi. Nearly any genre is possible. Tell your company‘s history in a modern format; give a product presentation in a narrative style or simply send your brand‘s mascot on a journey. The possibilities are endless! The Qads platform supports linear storylines where the plot takes place from start to finish. It’s also interactive where users decide in which direction a story continues. Quests, different routes, or variable end-scenarios let the users truly dive into a story. You can do short and entertaining five minute stories, a few episodes, or you could make a whole series with multiple seasons. Qads supports any length you wish. Happy users are more open to further actions. Use the emotional connection of your story, and show users offers from your company. Generate leads to follow up with your CRM, get visitors to your site, or simply increase your positive brand awareness. Step into a new way of content marketing and reach users in a highly effective method of storytelling! A classical short-story, presented in our Chat-Story format. Single story, multiple episodes, or whole seasons. A user directs the storyline by making interactive decisions. This can also be done through episodes and seasons. A short dialog that provides information such as news, specials, or changes in the narrative. An intuitive handling to reach masses! The byte-sized format makes reading easy as 1-2-3. Keep users engaged for hours, days or even longer! Reach people in areas with low bandwidth. Generate leads to serve users with more content. Create strategic journeys for even better results. FIND OUT MORE ABOUT THE OPPORTUNITIES OF CHAT-STORIES. Can you resist the power of a question? If you started thinking about the answer, even for just a moment, you’ve experienced the enormous power a simple question can have. Lead generation, dynamic content adaptation, traffic growth, user insights, or simply to entertain. 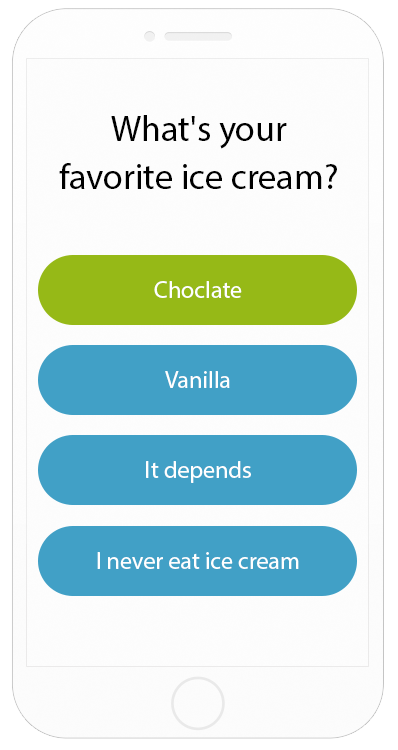 With a smart strategy and setup, quizzes are powerful marketing tools that can bring excellent results. For decades quizzes have been an integral part of the media landscape. No matter if it’s on the TV, radio, print, or Internet, answering questions seems to be irresistible for us. But why is this the case? Because it's all about us! How smart are you? Which celebrity are you? How many capitals of the world do you know? We love to find out new things about us. But we enjoy getting confirmed for things that we already know about ourselves. With a quiz we get this positive gratification within seconds. It's like getting a diploma in the area we think we are good at. With the Qads Platform, we enable businesses of all sizes to use the power of questions and answers within their marketing campaigns. The classical knowledge quiz. For each answer you get points. The total score decides the final result. Example: How many capitals do you know? Instead of points, the weight of each answer defines the final results. Example: Which celebrity are you? Points will be added or subtracted dynamically by calculations based on user decisions. Example: An interactive story or mini-game. Show static or dynamic results for high-end personalization. Collect leads and start follow-up marketing with your CRM. Show content based on the rules and parameters. Personalize your site instantly, based on user results. 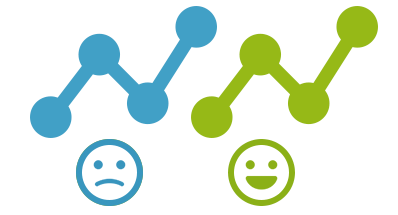 Users share their results and your traffic will grow. FIND OUT MORE ABOUT THE OPPORTUNITIES FROM OUR QUIZZES. Everything is customizable to your brand. Logo, colors, fonts, shapes. All units are smart, little marketing powerhouses. Based on rules and parameters. GEO-Targeting, Browser, Language, Mobile/Desktop, Re-Targeting, Parameters, etc. Fullscreen or between your content. Optimized for maximum user experience. Track conversions, goals or events. GDPR compliant. No data storing without users consent. All data will be transferred through SSL. Add sound and videos to spice up your users experience. All units can be shared through social media or simple links. With static or dynamic results. Show 3rd-party ads inside your units. Great to get more revenue. Qads units work with popular affiliate network platforms like Affise, Hasoffers and Cake. Use our in-house statistics or integrate 3rd-party analytic tools like from Google or Facebook. Create audiences and use retargeting continue your marketing off your site. Contact us and get a tailored solution proposal. Do I have To LEarn YET Another Tool? We know that you have enough on your plate with your daily business, and learning another tool (which comes with over 350 features) will only prevent you from better optimizing your business. That's why we believe it makes sense that we take care of all the platform specific tasks. This starts from collecting ideas and creating a strategy, to production, testing, and, finally, launch. You will get a ready-to-use code that you just have to paste into your site. With our experience of creating hundreds of campaigns, we know which settings work and how to get the best results for your business. This saves you thousands of dollars compared to an in-house trial and error approach. Offer your clients our products as white-label solution.